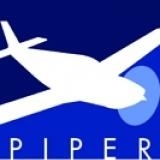 Hello everyone, my name is Dan Page and I am new to the Piper forum. Two years ago I bought a PA28r-180 and I am upgrading a lot of things that have not been looked after for a long time. I have put on a new prop, updated all the avionics and now in the process of looking for a shop that would do an interior on a piper arrow. I would like feedback from anyone that has gone through this in the past couple of years with the name , address and phone numbers or contact information for these companies and how well you think they did the job. I am based out of Conroe, Texas, KCXO, and would like to get feedback from all. My email address is, . Hope to get to meet a lot of people through this great network.